A jeepney drove us all the way to Sagada where Challenge 160 would start. This is a walk from Sagada to Baguio to promote the importance of trees and to protest against the cutting of these trees in the City of Pines especially at Luneta Hill. 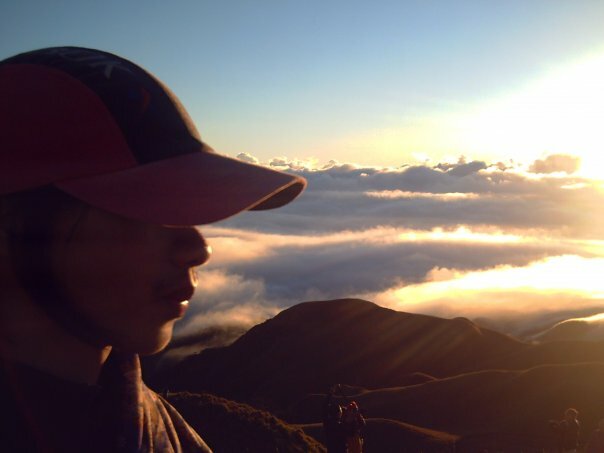 It’s been ages since the last time I was in this part of Mountain Province. So many things have changed and I’m referring to these inns and cafes and establishments meant to take advantage of the booming influx of tourists, a good mix of Caucasians, Koreans, and locals enjoying the still pristine forest of this mountain resort, reminiscent of Baguio’s glorious past. It is unfortunate that so-called development is creeping in but it’s a good thing that they still maintain their indigenous way of forest management – the “lakun” or “batangan.” This is a practice where a piece of land planted with trees is taken care of by families through generations. Trees are only cut to build a house. Lumber should never be sold. The trees cut, which is of limited number, are replaced. Their care and appreciation of the environment is admirable. I hope city folks could learn from them. About 20 people joined the challenge and I’m sure the walk meant differently to each of us. To some a vacation, to others a physical test. A few saw it as early penitence and a time to reflect about life. But for me, more than anything else, I did it for the trees. Yes, I’m a self-professed tree hugger. My being an environmentalist didn’t come from the emerging trend of cool environmentalism. It’s an expression of my faith as I believe we should be stewards of God’s creation. I’m a hiker and I love walking. So I thought a six-day 160 km walk would be “chicken,” as easy as eating peanuts. Boy was I wrong. Imagine walking on hot, hard concrete for around 10 hours to cover more than 30 kilometers a day. Not to mention the sizzling hot sun at noon time and the freezing cold wind in the early morning and evening. They’ve been with us, as if mocking us, making every step miserable. But we pressed on anyway. We dodged buses and cars rushing by seemingly unmindful of pedestrians. Some would honk and smile and wave at us in encouragement. We had a feast of magnificent views of mountains and trees as far as the eyes could see. We enjoyed the fresh air but the smoke from passing vehicles would always have us cover our noses. We get curious stares and we just smile back. They ask us why we’re walking and we explain the cause for the trees. I talked to the other walkers whom I have just met. I asked about their backgrounds, their reasons of joining the walk. We talked about books, and movies, and music. We even had a sort of game of naming as many cartoons as we could. Sometimes, conversations would go serious as we discuss issues of mining, pollution, politics, capitalism, and the like. We talked about food, those that we were craving at that moment. I craved for fishballs and we did have a chance to eat some. It was as hard as rocks but I couldn’t care less. It’s funny that at these times, we get to appreciate the simple joys of life – cold drinks, warm bath, the convenience of eating whatever you want, the comfort of a bed. Along the way, we saw forest fires. Intentional, I’m afraid to say, but I couldn’t really blame those who did it. They have to make a living, mostly through farming. That explains the many ads and posters of pesticides of all kinds and names; and the “chicken dung perfume” which we somehow got used to. We spent nights in schools, churches, and homes of people kind enough to host us. I would always welcome the break and check if my feet are still there. We would attend to blisters, sore feet, and muscle cramps. I sometimes fear waking up, unable to stand. But surprisingly, after a night’s sleep, I would be okay and ready to go. Challenge 160 was indeed a challenge in all aspects. But I realized this is nothing compared to the challenge of changing people’s minds. Of getting rid of their apathy. Of making them understand that if we take the environment for granted, nature’s wrath would be upon us, as always. Challenge 160 happened two years ago in February 2013. And for two years, those trees around SM Baguio stood in peace. I thought they would be there much longer. But they’re gone now. They got rid of the trees to make way for a Sky Park that features so-called environment-friendly facilities. Wait, what?! And they also boast of this “Grow a Million Trees” campaign. I mean, really?! How absurd can you get?! To those trees, I give my sad good-bye. Challenge 160 is not over. I shall walk on. 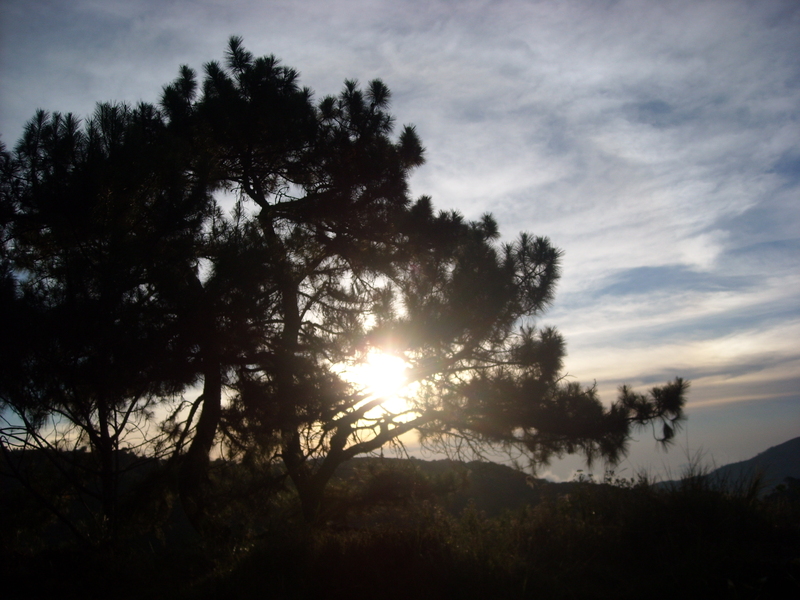 Author Ryan BestrePosted on January 18, 2015 November 3, 2017 Categories environment, travelTags advocacy, Baguio, community development, hiking7 Comments on For the Trees!